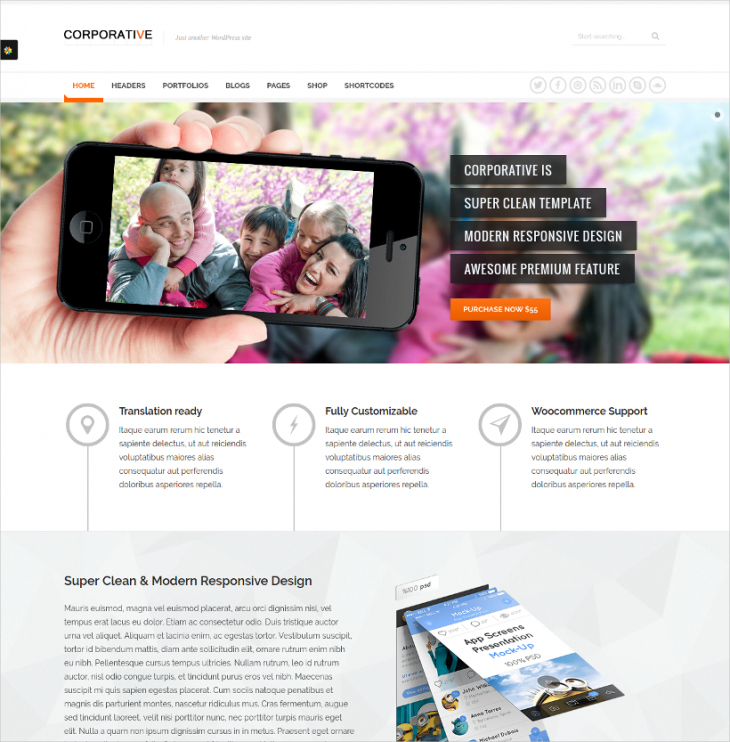 Making a website for the corporate sector is one of the challenges when you don’t have an apt theme for this. To make a nice website, you need a good theme which will complement the site with its beauty and functionality. That is why to make a corporate website the best you need a theme that will be smart, sober, fully functional, and with a nice responsive design. 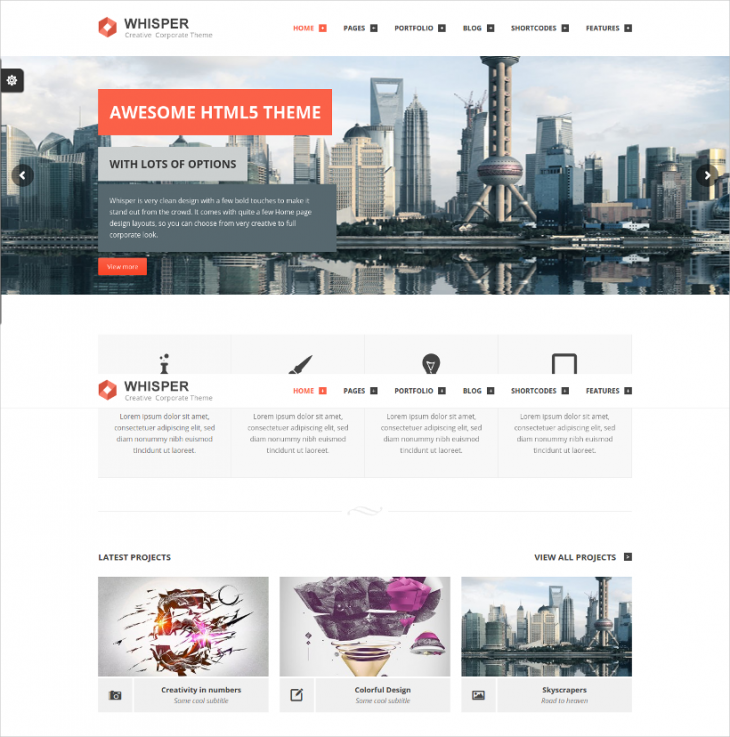 Below are some commercial WordPress themes to suit your needs. A simple and neat theme is this one, with corporate style slider on the front page, and this one looks smart and great. Other features in the simple text oriented theme are retina ready and SEO ready design, moto press editor and slider, parallax effect, WPML ready, a neat contact form, and Google map integration. 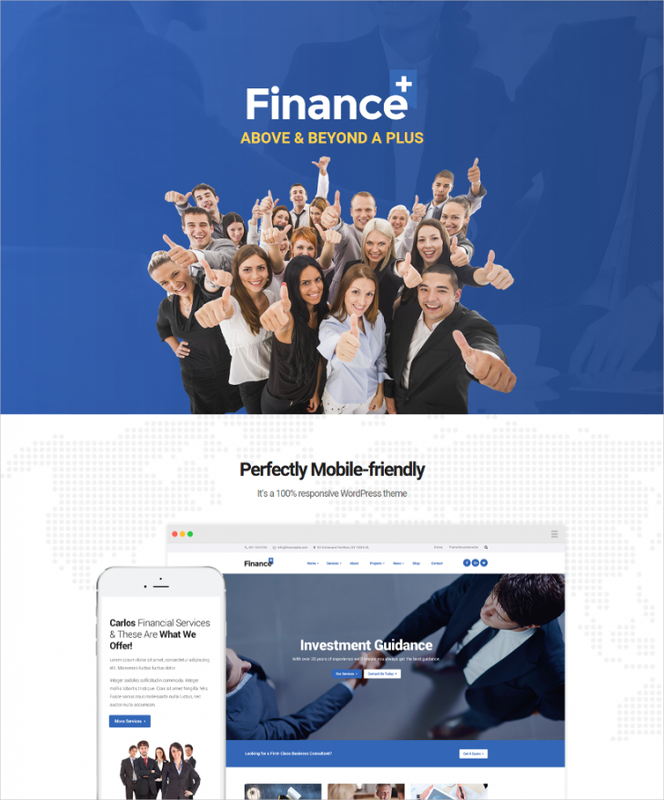 This is a finance based theme. Once again it’s a neat and clean theme and has a lot to offer like the 5 home page options, 12 color schemes, more than 6 headers, great design, mobile optimization, lovely sliders, lots of color and fonts, the SEO readiness and a lot more. Smart and simple with blue and white color scheme, this one looks very minimalist and the round button and text-based box style design, and the revolution slider on top give this the look you would always cherish. This has a drag and drops page builder, WPML readiness, a Motopress slider, the Cherry framework support and a lot more. 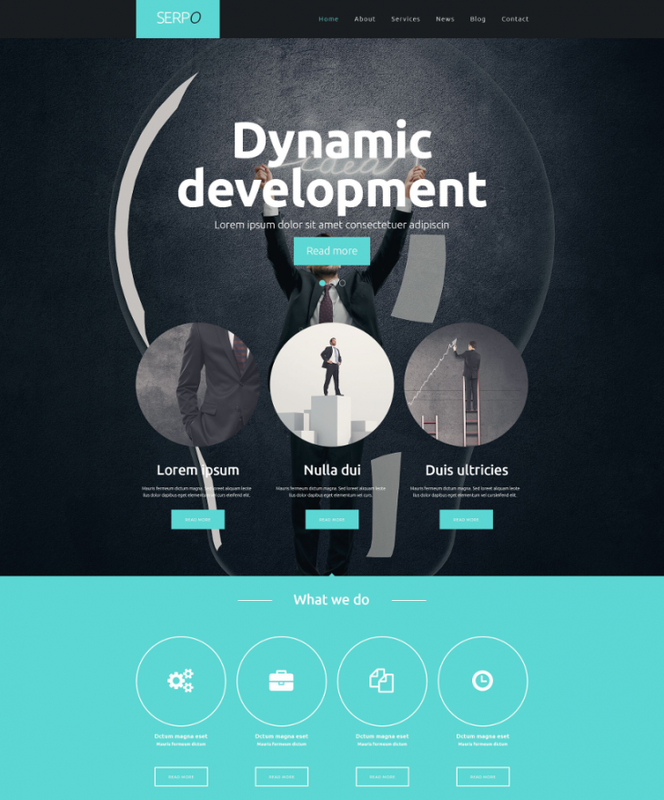 The theme is super flexible and has a neat design, which is actually the characteristic of a nice corporate theme. 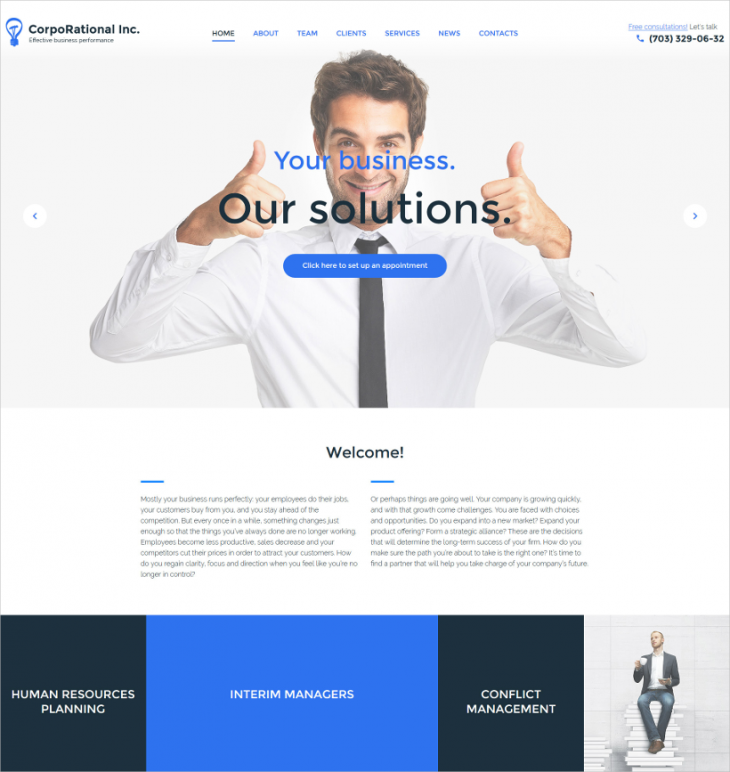 The theme looks great with the blue backdrop, nice slider design, unlimited color options, sidebars fully customizable, the SEO and WPML support and much more. 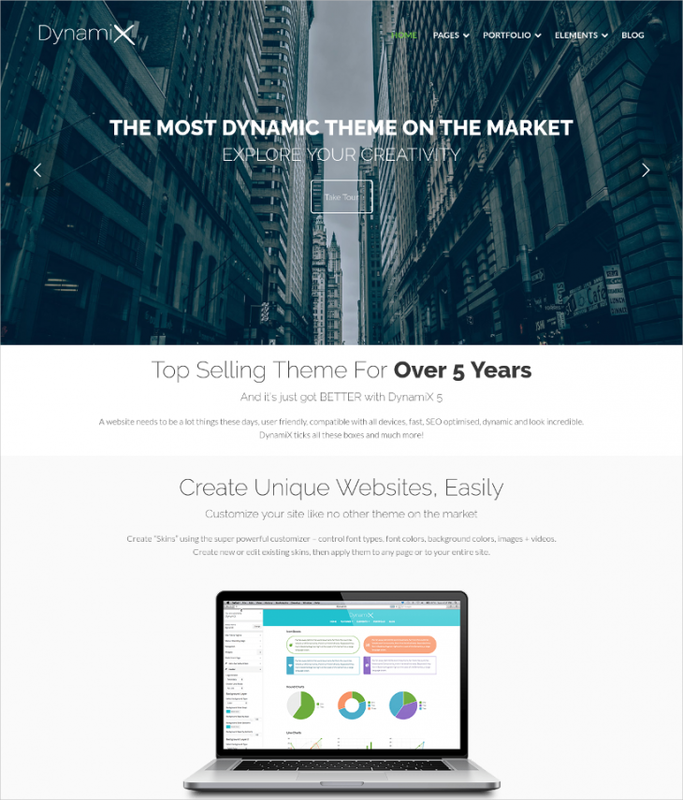 This is a dynamic theme, and offers a fully editable site design, responsive theme, custom type posts, and lots of custom widgets, the multilingual support, more than 80 shortcodes, cross browser support and a lot more. 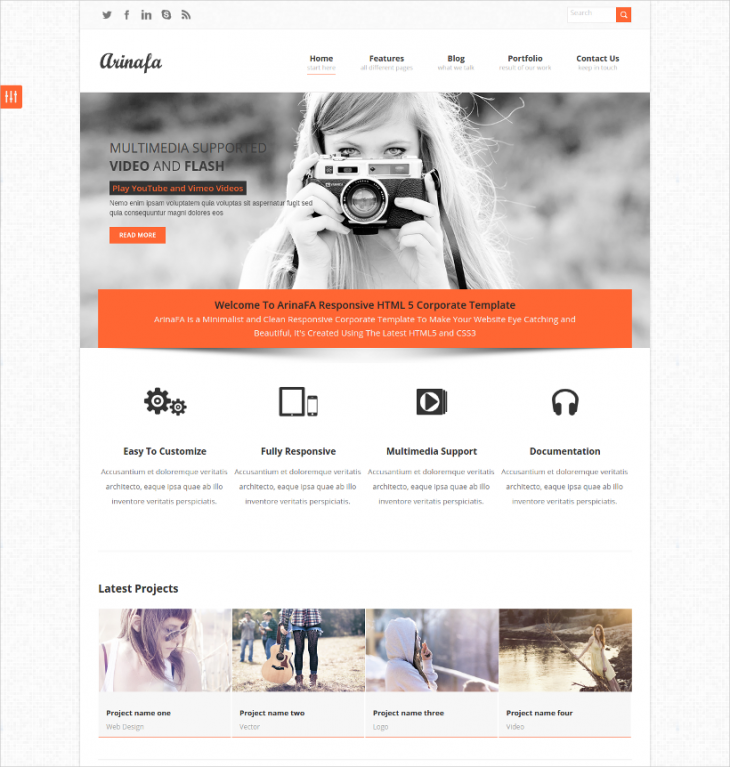 This WordPress theme has an elegant look, and you may use this for a small, medium or a large business. The smart and elegant look of the theme is brought about by the big slider and a neat and minimal design beneath it. Other features are the ZetaOne platform base, the variety of plugins like the news and client plugins, the team’s section and testimonials section and more. Though this is a corporate theme, but the looks are quite bright as opposed to the conventional sober and light corporate style. The black and multicolor based theme looks vibrant and smart. 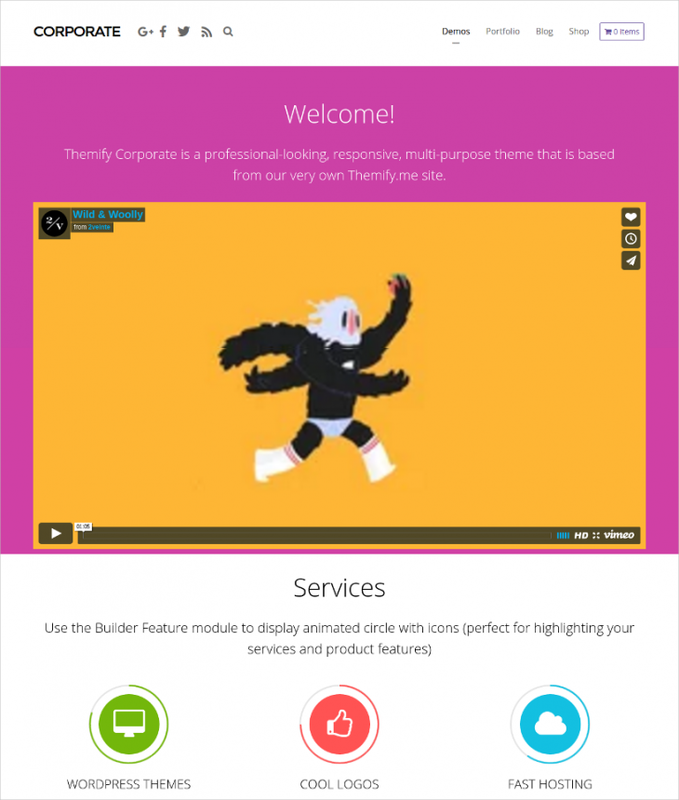 You can use the visual composer, the layer slider, the CSS3 animations, the retina ready design and a lot more. Another nice theme is here in all purple. 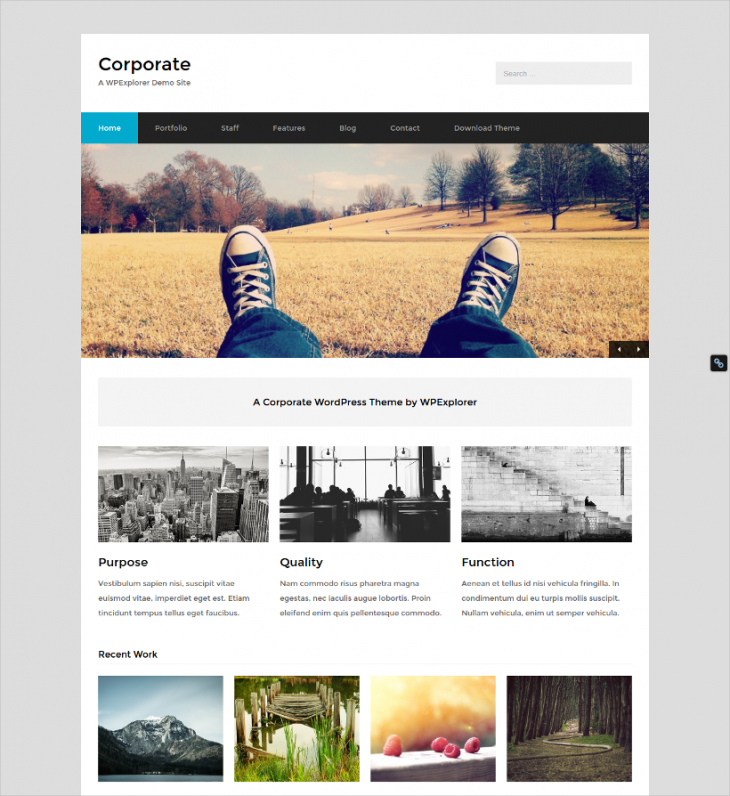 The theme is neat and minimalist, and an ideal composition for a corporate theme. The features include a video header, cross browser support, revolution slider, parallax effect, a footer totally with widgets, a project section and a lot more. This is a smart white and off white based theme, which is made to highlight any color of image or text you use on this light background. There are unlimited color schemes, lovely customizing options, great portfolio structure and design, and shortcode generator, and also custom fonts etc. The ultra smart and organized theme is a great punch of some very amiable features like the skins out of the box, the homepage builder, customizable theme options, an advanced control panel, mobile friendly and totally business ready with plugins and Woocommerce integration. The corporate theme is for the business consultants. 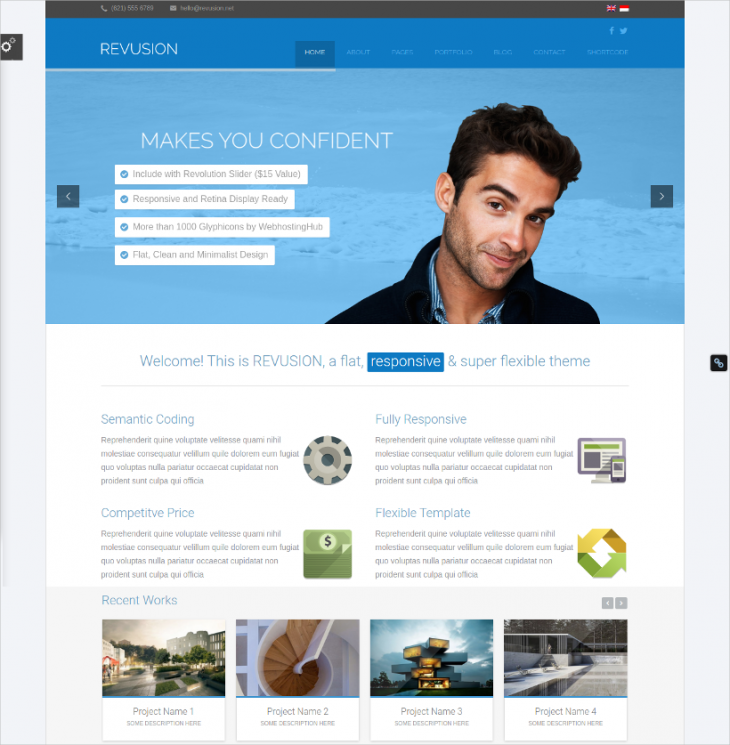 It’s a totally responsive theme, and fully editable, with features of cross-browser support, lots of shortcodes support, custom posts and widgets, multi-language support, SEO readiness, a built-in customizer and more. 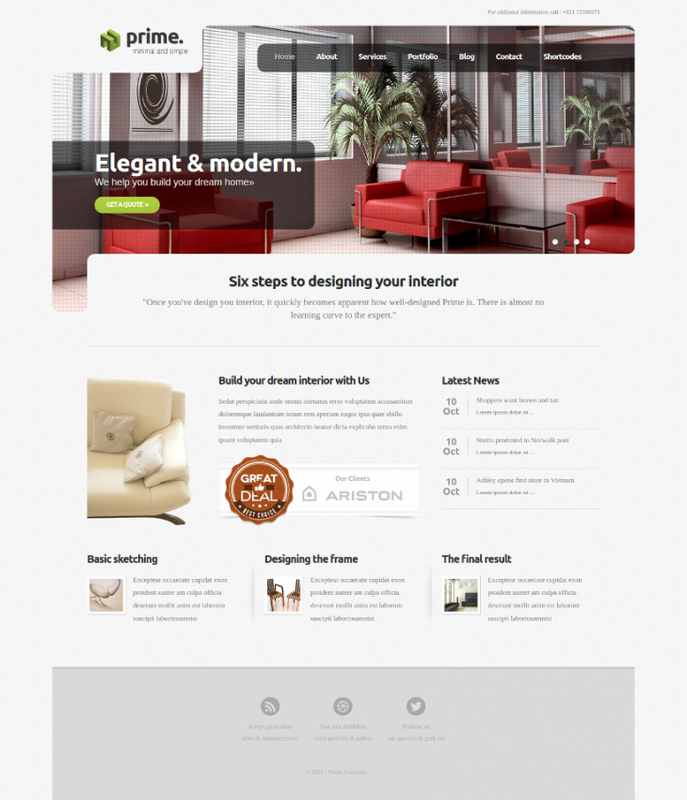 The theme is the ideal choice for a business site. Use this for professional portfolio or for the corporate identity online, and it will suit all. The dynamic video property element of the theme is the main element of interest. 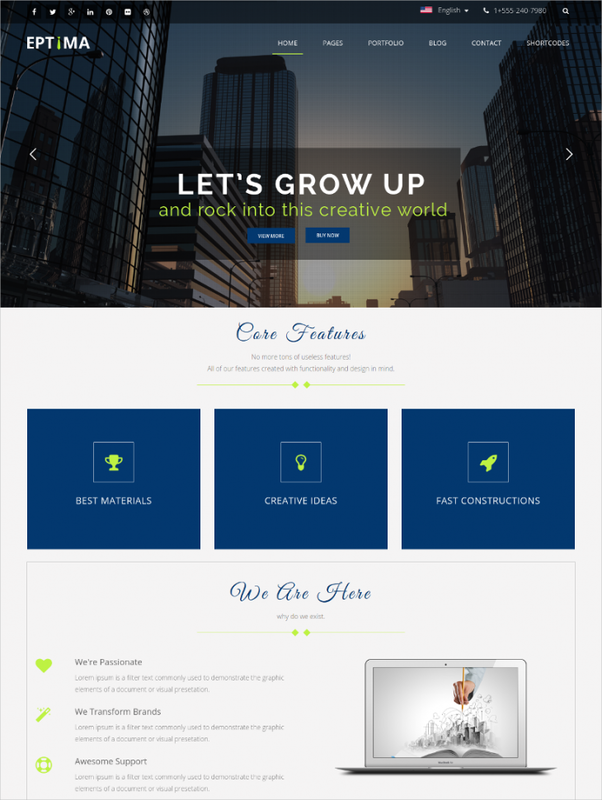 This is a simple, smart and stylish corporate theme. 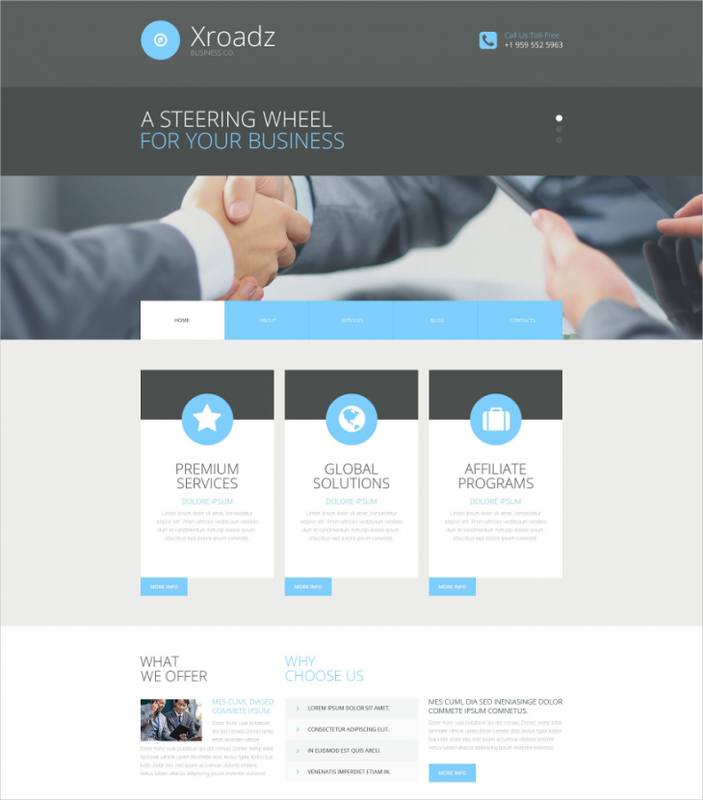 The wide full page slider and the page customizer make this a nice pick for any business or corporate design. The front page customizer, the hideable front page elements are marvelous. 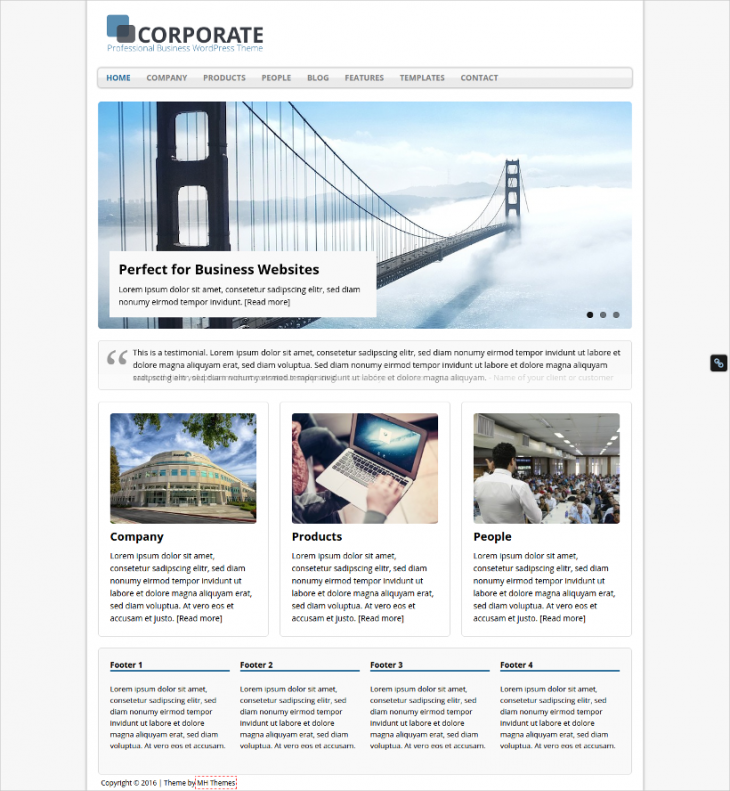 The HTML5 powered corporate theme is a nice one to pick any corporate subject and highlight this. The design is responsive and elegant, simple and nice, and the PSDs to make installation and handling easy are included with the theme. The theme has a beautiful layout with a great navigation system, sliders, a fantastic menu at the top, and come with featured images. Use this to show off your middle sized business in the corporate sector, or to show off the image of the company. 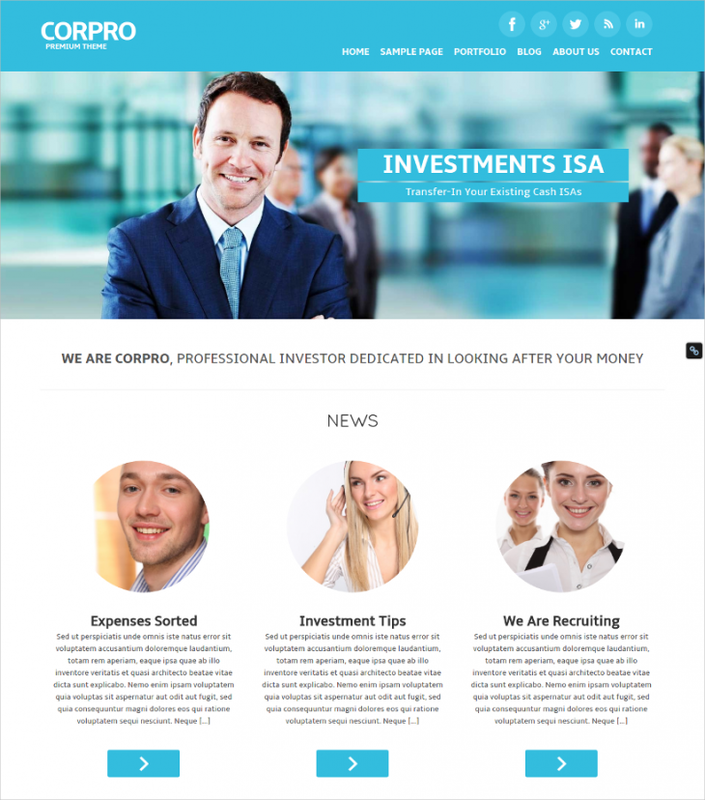 This is a corporate portfolio theme, ideally suited for a business site too. Use it in a flexible way, and make use of the portfolio layout the corporate style, and the business thematic support. Make use of the other options like a custom 404 page, the integration of Google fonts, the cross-browser and multilingual support, boxed and wide layout etc. 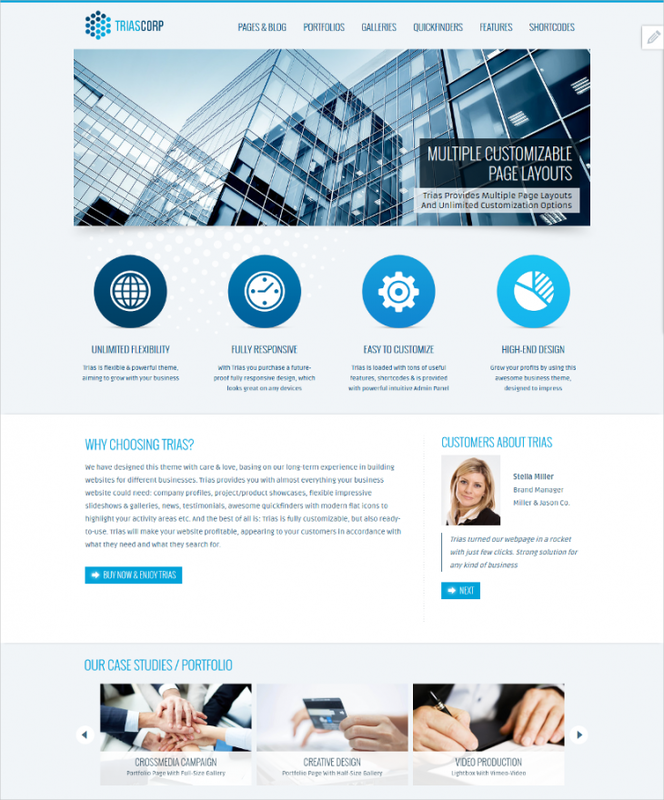 This is a corporate style theme and a minimal design which you may use for the corporate site to make it load real fast. The theme options you get are custom portfolio and staff posts, lots of color options in theme, the home page slider, lovely and supportive documentation, GPL license and a lot more. Use favicon in the theme, and also get social share buttons, lovely theme support and developer support, and a lot of other interesting features like the stick to the top menu, the full page revolution slider and a lot more. 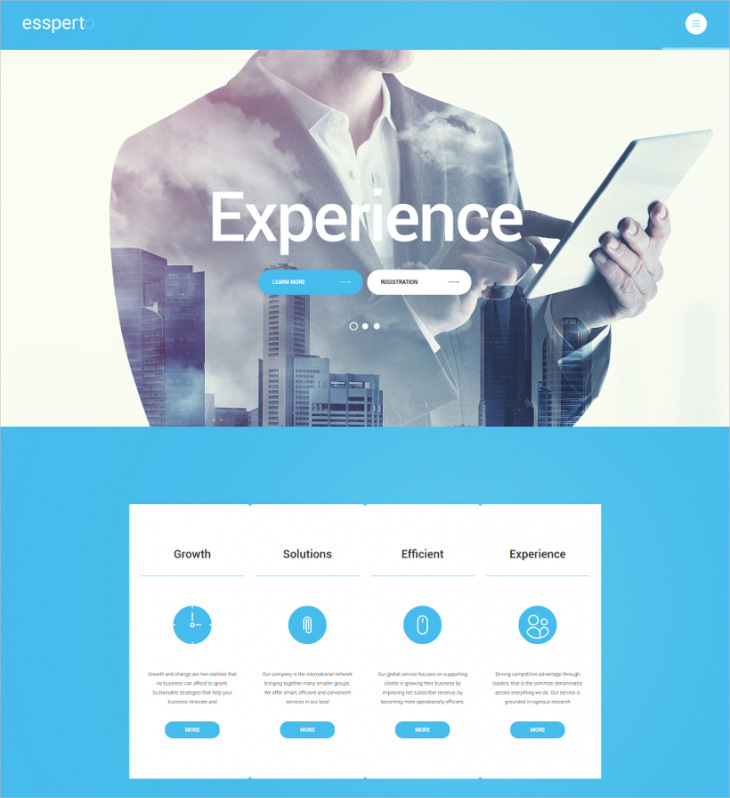 A very nice and sleek header menu and a conventional style sober slider below it, make the theme give a neat and nice look, and a corporate impression for smart websites. Text use is given importance and you may use this for any business. 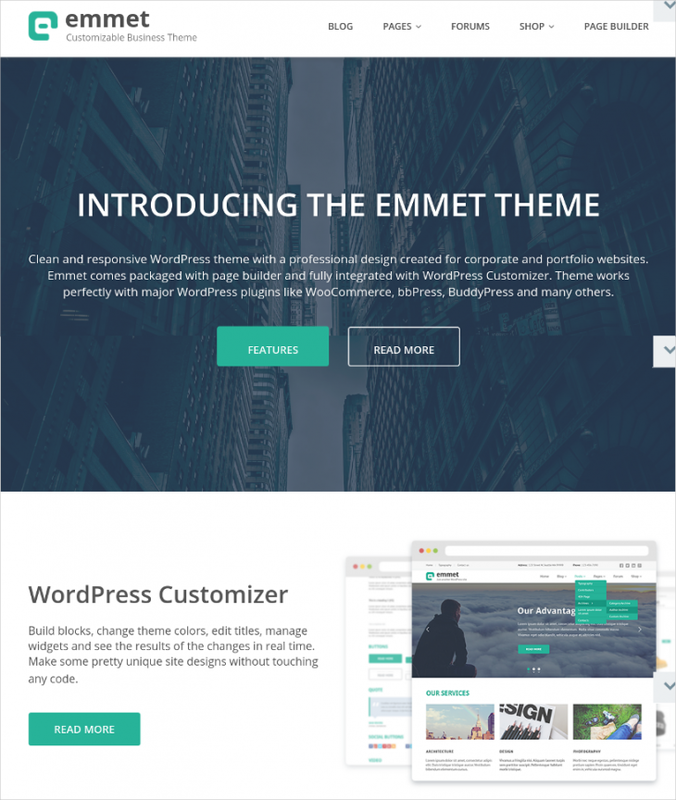 With these world-class WordPress Portfolio themes, making a commercial or corporate website is no more a challenge. Making a website gets interesting when you get the right theme of your choice. You can then make it as per your vision. 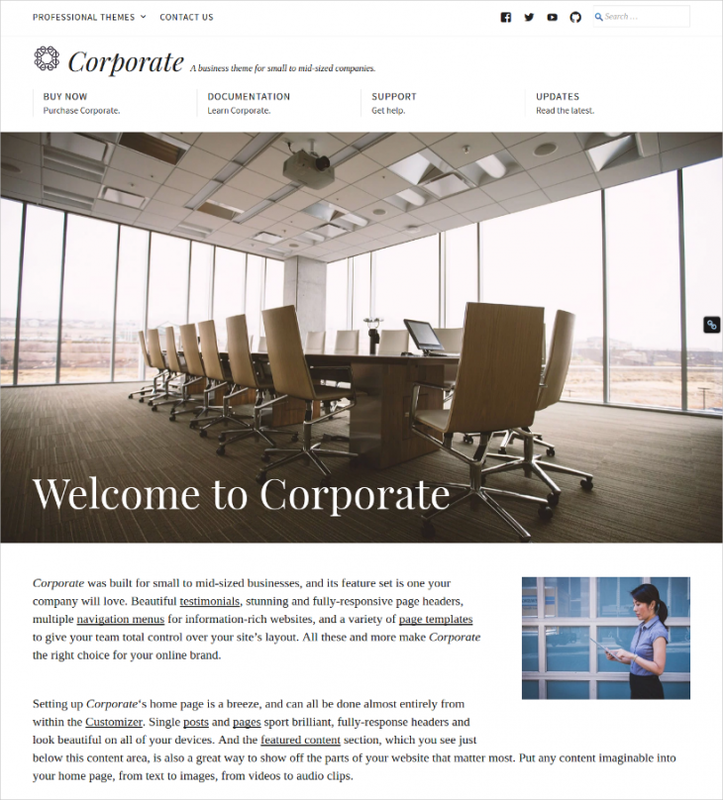 These professional WordPress corporate themes are just perfect for the stepping stone.